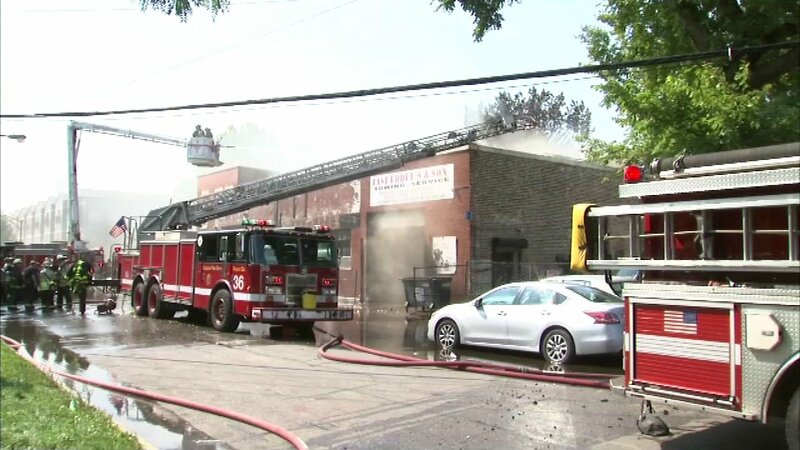 CHICAGO (WLS) -- Chicago fire crews are on the scene of a fire in Chicago's North Lawndale neighborhood which engulfed two buildings. Firefighters responded to the 2-11 blaze in the 3100-block of West Fillmore Street. Flames spread from that building to the second, which houses a towing company business. According to the owner of the towing business, the first structure that caught fire was condemned. Workers were able to get one tow truck out of the fire, but the building was a "total loss," fire officials said. Firefighters remain at the scene as of 4 p.m. working to put out the flames and hot spots.